Data is proliferating wildly, and the pace of data sharing is accelerating. New technology tools can interpret this data and deliver insights at the point of care, which is becoming less defined by physical location. 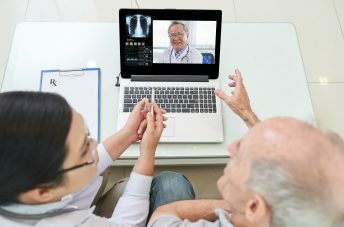 Tech companies see an opportunity to digitize healthcare information and are investing heavily in the new markets springing up around this digitization. 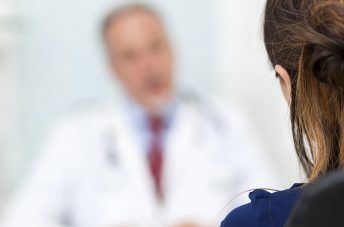 The report examines the opportunities, application and distribution potential of healthcare democratization in three areas — computing, data sharing and security/privacy — and says next steps include identifying opportunities, implementing inclusive strategies to meet them, and figuring out what safeguards will maximize the potential of data without risking patient privacy and security. Recent developments in artificial intelligence technology and its application are opening doors to advancements in diagnosis, treatment plans and process management. AI and machine learning are helping detect diseases, predict threats to public health, and define threats to outcomes for at-risk hospital patients. Large data sets allow for customized treatment plans and medications. The report cites McKinsey data that found this could add up to 1.3 years to the average life expectancy and reduce average healthcare costs by 9 percent. People with chronic health conditions are responsible for 90 percent of government healthcare spending. AI and other advances in data science can boost population health by slowing/preventing the onset of chronic disease. This will encourage the industry’s shift toward preventive care. AI could also address physician burnout, currently running at 55 percent. People worry about AI’s practical applications. Concerns range from the ability of AI to perform complex examinations or surgeries to whether AI will cause a rise in unemployment as it displaces workers. However, research shows healthcare is not an industry where job automation is likely, and the gains are projected to outweigh the labor impacts by a sizeable amount. Healthcare can’t be democratized unless it’s inclusive of all people, and AI bias is a legitimate problem just as it is in research and studies that don’t use AI. Bias shows up in AI research because it’s initiated by biased humans — even (or especially) when those biases are implicit. Crowdsourced health research is a good example of democratization in healthcare; anyone can contribute, and info is shared freely. But most healthcare records don’t function that way. For democratization to work, data sharing must improve. The No. 1 problem impeding democratization is interoperability. 93 percent of hospitals and health systems let patients access and interact with their health data and obtain health services — but only one-third of hospitals can electronically find, send, receive and integrate patient info from other providers. Electronic health records (EHRs) are difficult to share within and across institutions, since not all systems use the same programs, and within a system, there are frequently differences within and across departments regarding how information is entered. Because of this, hospitals and health systems default to sharing patient data via paper or fax records. The best near-term opportunity is for tech companies to develop APIs to help EHR data sharing. This has the potential to make accessing and working with health records more similar to how we access our bank records. Another issue caused by the use of different systems and protocols to log patient information: The data itself is inconsistent and too messy to aggregate into sets. Some companies are beginning to address this with solutions that clean data and make it useful for research. Data breaches are a significant and expensive problem in healthcare; more than three-quarters of health systems report a breach in the past year, more than 50 percent of which were caused by a malicious attack (versus system glitches and human error). Security updates aren’t keeping pace with digital health record changes, mostly because of funding problems. Innovation is thwarted because consumers don’t trust tech companies with their health data; there are no standardized permissions or anonymizations. However, while consumers say they don’t trust tech companies with health information, they still rely on Google searches at high rates to gather health information. Policymakers also have a strong sway over data sharing, and the regulatory environment affects investment decisions. Federal and state regulations about data sharing will affect the democratization process. AI and machine learning: These innovations can help clean, manage and share data. Collaborations: When tech companies and healthcare entities work together, they find ways to share data and build partnerships. Building trust: Rules about data privacy need to be consistent. Accessibility of data: Consumers and HCPs are reluctant to share their health information. Data quality: Most is not analysis-ready, and few solutions currently exist to efficiently clean it. Physician burnout: Doctors hate the inefficient ways they’re required to interface with EHRs. Privacy and ethics: People don’t want their data used since there aren’t rules or anonymization processes in place. While there’s a lot of forward momentum toward the democratization of healthcare, there are also a lot of barriers. 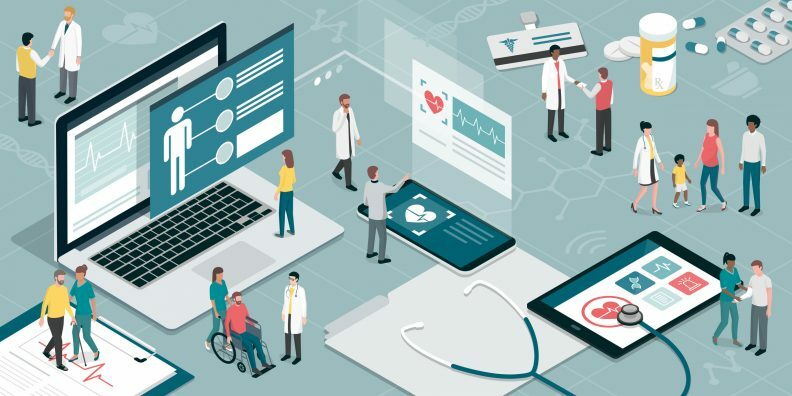 Healthcare marketers can help break those down by emphasizing the benefits of data sharing, by clearly explaining how tech companies are helping, and by addressing consumers’ data and privacy concerns.